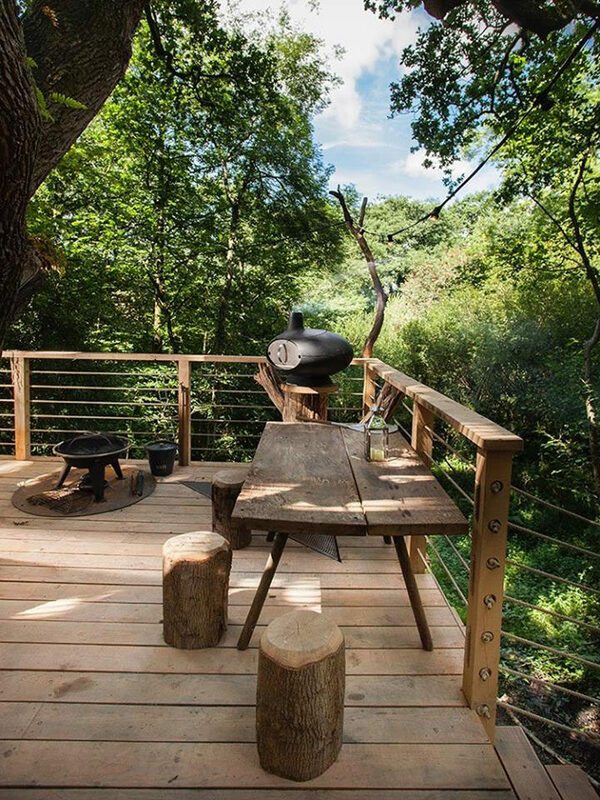 Guy Mallinson Woodland Workshop together with Keith Brownlie from BEaM have designed The Woodman’s Treehouse, an adult version of the ever-popular kids treehouse. 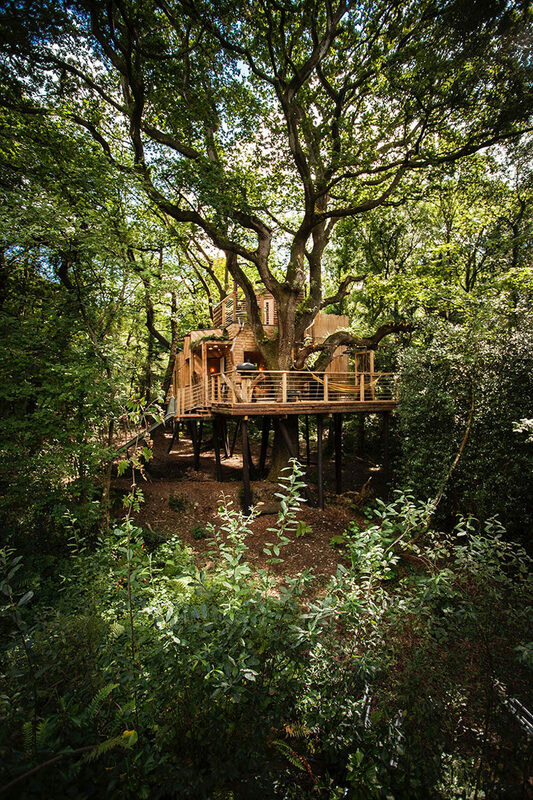 Located in West Dorset, England, the two-storey treehouse is arranged around a canopy of aged oak trees, and includes a circular interior with contemporary luxuries. 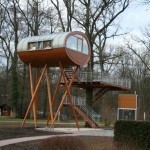 From the outside, you can see how the treehouse stands on stilts and wraps around a single large tree. 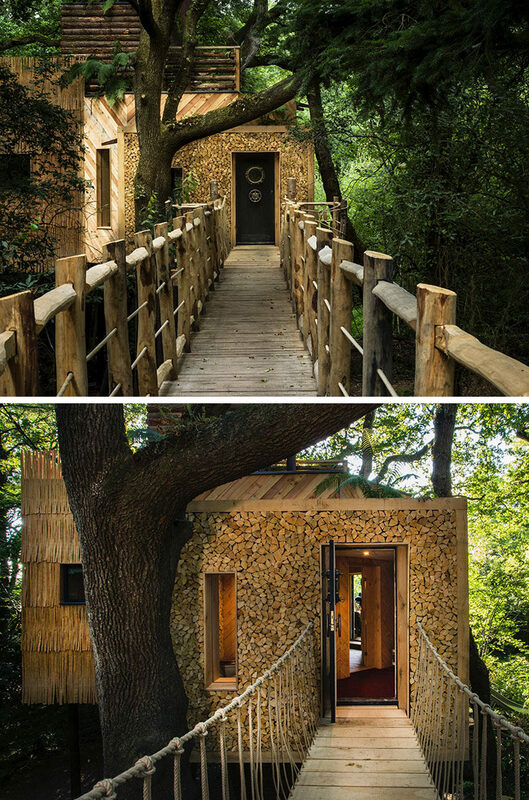 Different wooden siding covers the exterior of the treehouse, creating a unique natural look. 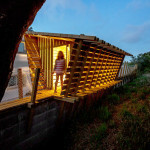 A small wood bridge provides access from the ground to the front door. Just inside the front door and to the left is a small bathroom. 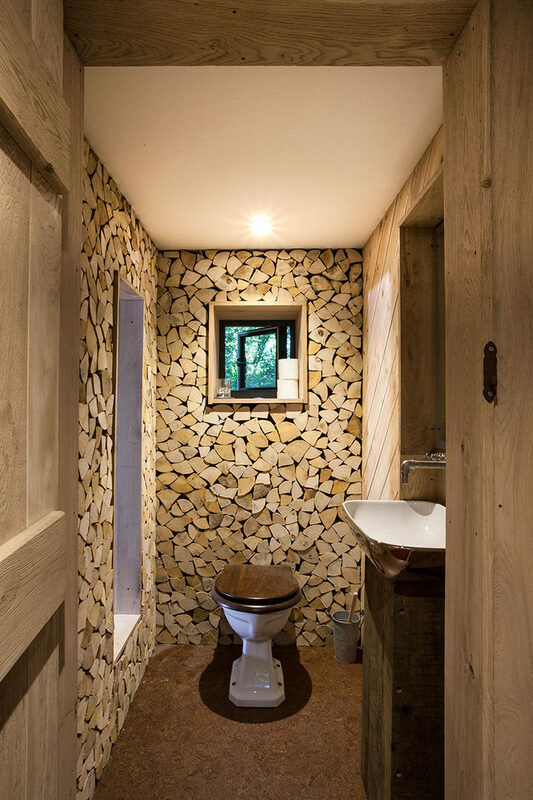 The wood that’s on the exterior of the treehouse continues through to the interior. 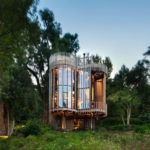 Upon entering the main living area of the treehouse you become aware that the interior is laid out in a circular pattern. The living area has a central fireplace, comfortable seating and a kitchen area with a large window. 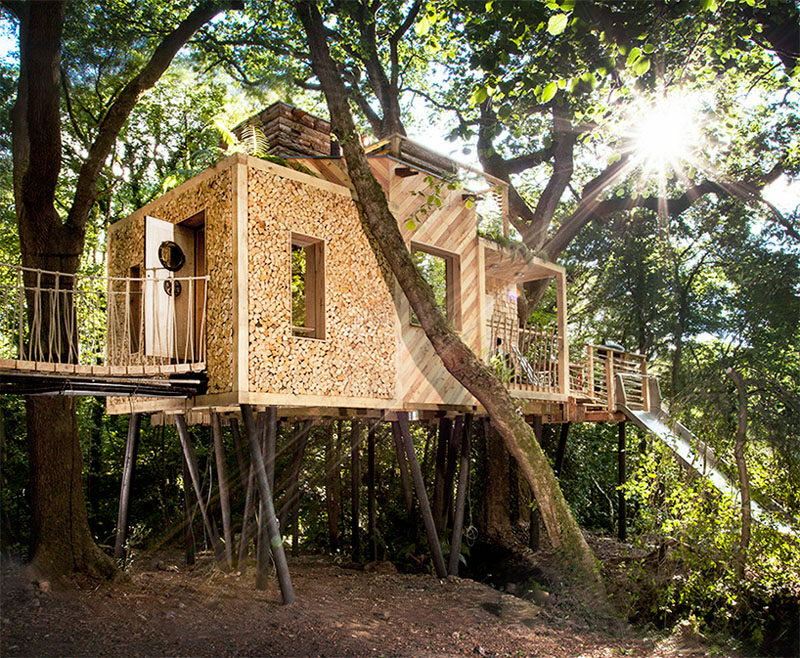 All of the rooms of the treehouse are extended off the living/kitchen area. The bedroom stands out with a slightly raised floor, white walls and a skylight. 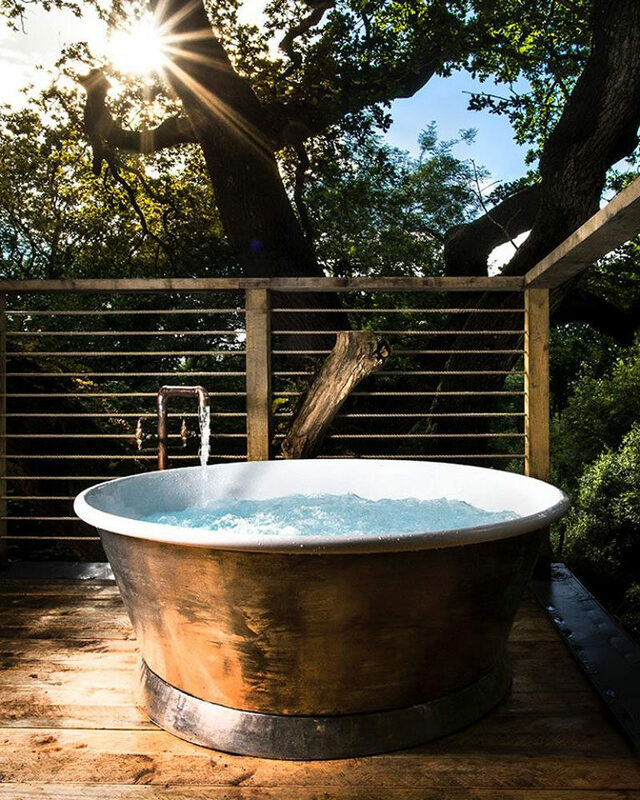 Next up is the bath, the dark black walls are a strong contrast to the white walls of the bedroom, and a copper bath draws your eye to the space. 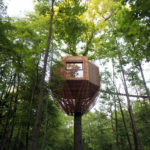 A large floor-to-ceiling window provides uninterrupted views of the trees. 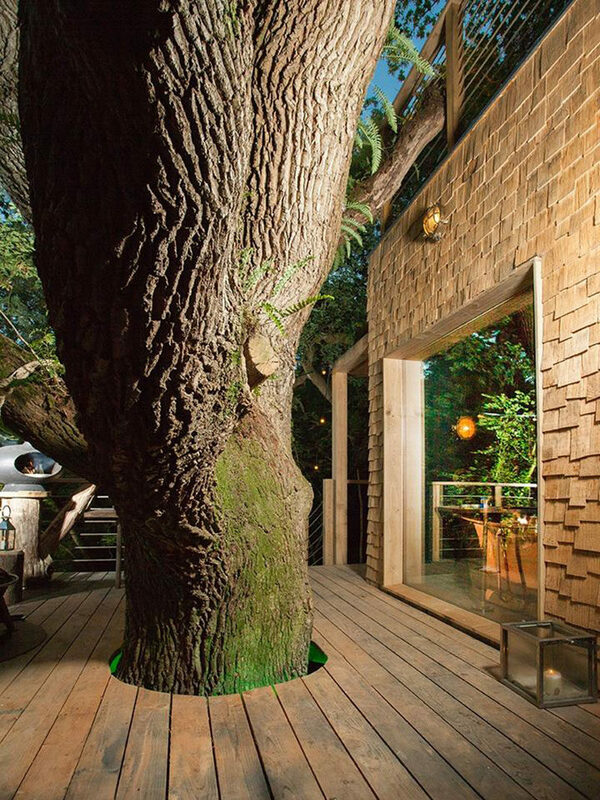 Outside, there’s a bbq and dining area on the deck that wraps around the tree. Here’s a closet look at the deck wrapping around the tree. 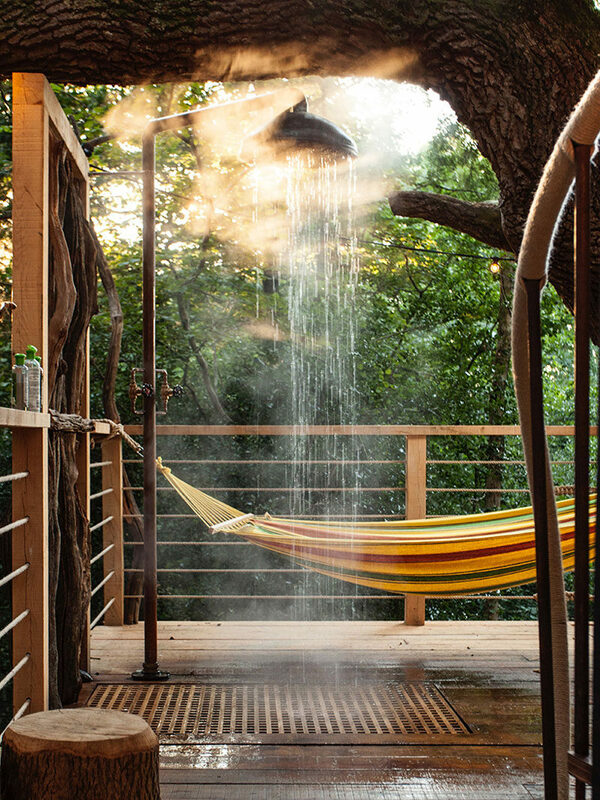 There’s also an outdoor shower that drains down to the ground below, and a hammock provides a spot to relax on a nice day. 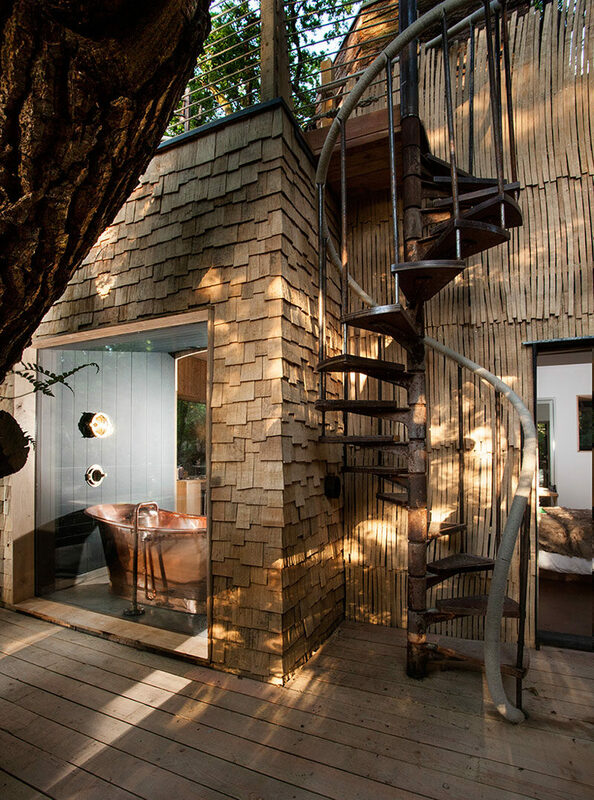 A spiral staircase leads you up to the second storey. On the second storey there’s a large soaking tub on the rooftop deck. 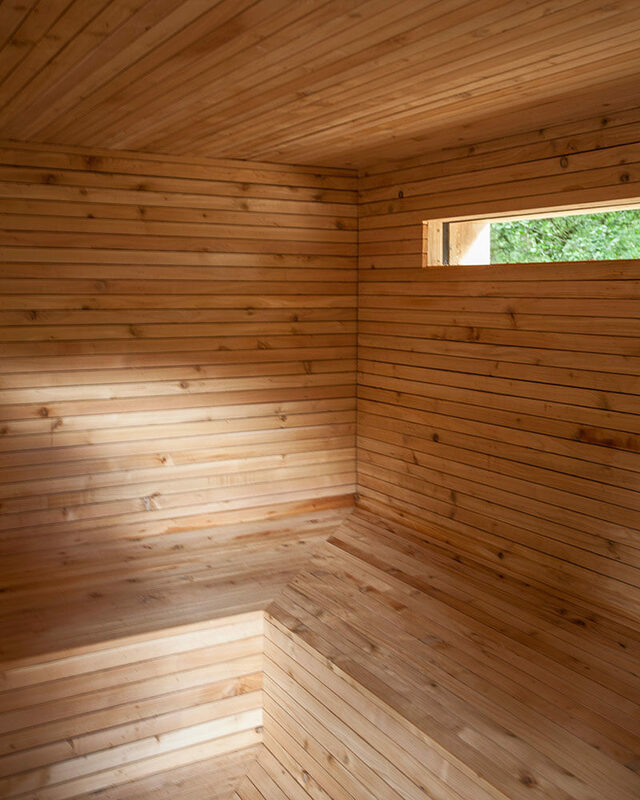 And if a nice soak in the tub isn’t enough, there’s also a sauna to enjoy.